The EUR/USD pair dropped to 1.190 points during Tuesday’s session as the USD increased its trading value during the session but later lost some of its gains as Fed’s Fischer released a statement saying that as much as he does not want to have low interest rates, he wouldn’t want it to increase as much. However, Fischer also noted that he has no information with regards to the date of the expected interest rate hike from Fed. The last trading session exhibited active volatility levels, especially with Hillary Clinton’s impressive performance during the first US Presidential Debate. However, the dropping bank equities in London’s trading session affected the trades on Tuesday. The USD also increased due to the added intraday support from highly positive macroeconomic releases, particularly with the improved Conference BC Confidence Index which is now at 104.1 from last month’s 101.8. The expansion rate of business activities also increased after a three-month dormancy, according to preliminary Markit Services and Composite PMI data. Services PMI went up to 51.9 in September as compared to August’s 51.0, while Composite PMI data also increased to 52.0 points from last month’s 51.5 points. The EUR/USD is still primarily in the negative territory, albeit with a persistence neutral stance. The 4-hour chart for the currency pair has no clear indicators, with prices recovering after a slew of horizontal moving averages and technical indicators going above the middle range. 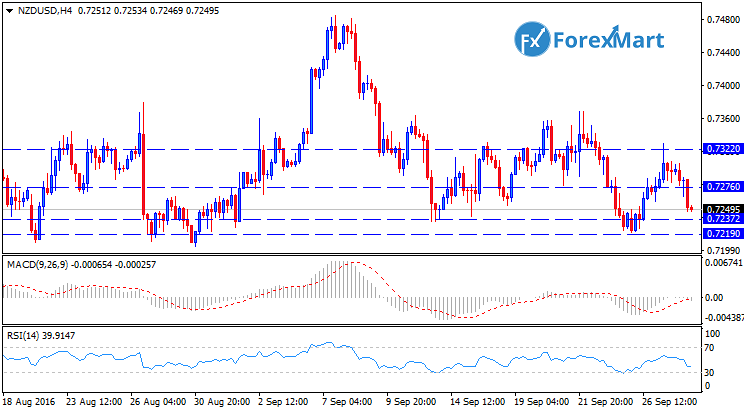 The NZD/USD pair decreased in value after a three-day high, dropping back to the 0.73 trading range in relation to its USD counterpart. The currency pair dropped by -0.26% or 0.7284 points, hovering dangerously close to the 0.7279 trading lows during the last session. The NZD was unable to sustain its bullish bearing, mostly due to sustained weakness in oil prices and a strengthening of the USD. The commodity currency suffered from significant decreases in oil prices caused by uncertainties in the oil output agreement between non-OPEC and OPEC oil producers. Meanwhile, the greenback was boosted by positive consumer confidence data and PMI data. The NZD remains to be the worst currency performer during the trading session, especially now that traders are waiting for the release of China’s consumer sentiment numbers. The US durable goods data will also be released later today, as well as the weekly crude stockpiles report from the EIA. The next resistance point for the NZD/USD pair is projected to be at 0.7297, with a possibility of extending gains up to 0.7332. Meanwhile, the downside support is expected to be at 0.7267 points to 0.7220 points. The Japanese Yen decreased its value during Wednesday’s trading session, causing the USD/JPY pair to increase its value by up to 0.257 points or +0.26% to close at 100.67 points. The increased demand for commodity currencies and stocks was caused by a report that OPEC had already consented to decreasing its overall output, which last occurred in 2008. Reliable sources from OPEC are saying that the organization would be reducing its oil outputs to 32.5 million barrels daily from its current output of 33.24 million barrels a day. The USD started strengthening earlier during the session after a recovery of European equity markets increased the risk appetites of investors which then removed their focus from the safe haven currency. The USD/JPY benefitted from the wide-range risk-on sentiment after the statement from OPEC increased activity in the US stock market. The US market surged primarily due to statements from Fed and a highly durable US goods report. Core Durable Goods Orders data decreased by 0.4% in August, going way below the expected reading of 0.5% and even lower than the expected July reading of 1.3%. However, DGO data was slightly better than the estimate of -1 and went significantly lower than July’s prediction of 3.6%. The EUR/USD pair had an ambiguous stance during Wednesday’s trading session as investors and traders are waiting for statements coming from the European Central Bank and and the Federal Reserve. However, none of the two central banks are expected to release new modifications, which leaves the EUR/USD pair at a lower value than the previous trading sessions. Fed Chair Janet Yellen has already stated that there is no definite period as to when the Federal Reserve would be increasing its interest rates. On the other hand, ECB Chair Mario Draghi has stated that the central bank’s negative rates are not the ones to be blamed for problems in the European banking sector. The Durable Goods Orders data came out without much activity, even falling below the expected data release in August. The DGO report has also showed that capital equipment shipments had already decreased in value four months in a row, and investors are expecting that this will lead to a drop in Q3 GDP rates. In general, the EUR/USD pair has been struggling to make progress during this week. The pair’s 4-hour chart indicates that its value has been unable to go above its moving averages. Momentum levels are expected to go south and below the 100 level. Meanwhile, RSI indicators are in the 47-point range and is leaning towards the negative. Selling interest are now below 1.1190 and this could make the currency pair go even lower at 1.1120 during the next trading sessions. BOE deputy Shafik’s dovish statements has caused the sterling pound to be weighed down, after Shafik stated that the central bank requires more economic stimulus, and the bank is willing to widen its asset purchase program if ever the need arises. The technical trend for the currency pair is mainly bearish since a lot of sellers are holding fast to their current positions. 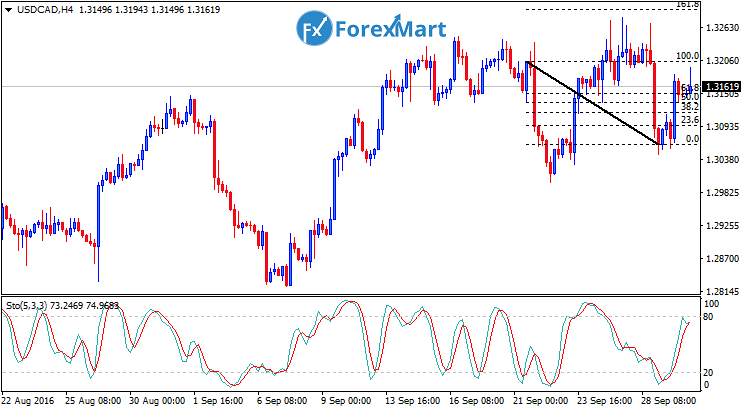 The GBP/USD exhibited volatile and low trading points during Wednesday’s session, with the price staying within the 1.3000 range for buyers. The pair’s growth was somewhat hindered by a bearish 50 EMA, while the 50, 100, and 200 EMA are still steadily declining. Resistance levels are currently at 1.3000 while support levels are at 1.2900. MACD levels are presently in the negative side, with MACD’s growth indicative of a weakening of sellers’ positions. Meanwhile, RSI levels are expected to go within the overbought range. 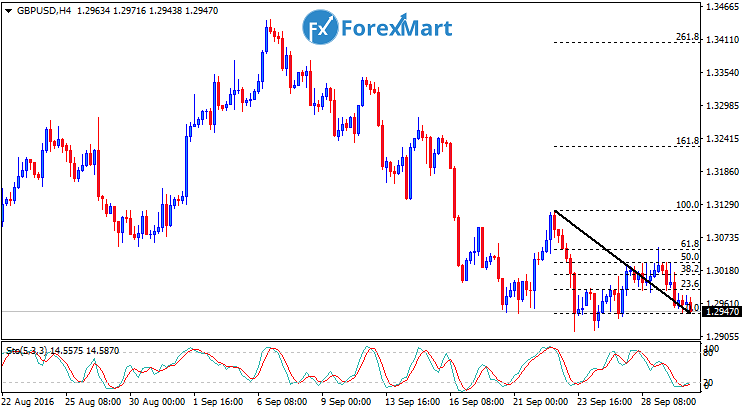 The general outlook for the currency pair is bearish, with an expected drop towards the 1.2950 range. However, speculators are also expecting an upsurge to the 1.3100 trading range. 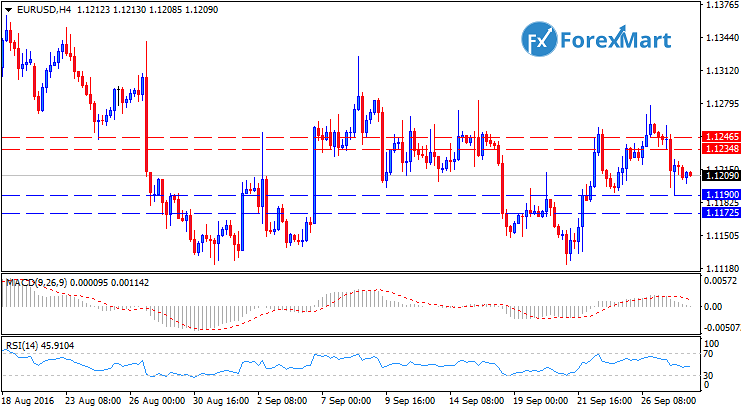 The GBP/USD pair continued to sway between 1.2950 and 1.3050 with no definite direction. This indefinite stance of the GBP/USD was mainly caused by an expected break on both sides by traders but has not since occurred. However, the value of the currency seemed to be controlled by EUR/GBP cash flows than any other fundamental factors. The issues surrounding Deutsche Bank also added uncertainties to the GBP/USD pair’s stance. Deutsche Bank’s recent issues caused stock markets to have a risk-off sentiment and caused the S&P and other technical indexes to drop in value. Moreover, this has caused the pound to decrease its support levels at 1.2950 during the last trading session. Traders should take extra precautions as this might cause major shifts in the financial market and may also cause the USD to increase its value in general. Speculators are expecting added volatility to the market due to the London fix, as well as a major news announcement from the UK government which is scheduled to be released today. 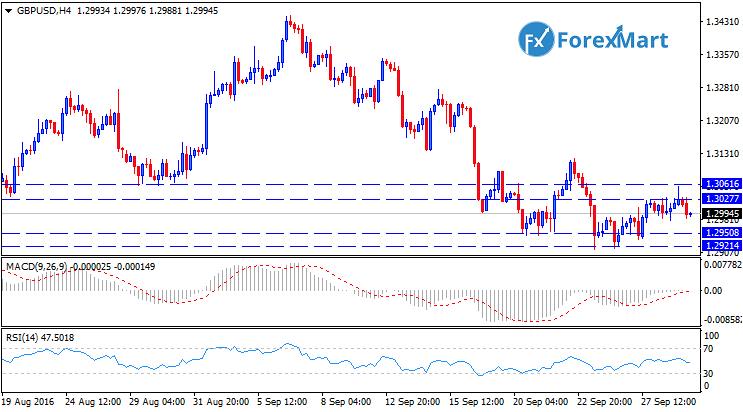 The USD/CAD pair finished last trading session with its resistance levels resting at 1.3120 points and support levels at 1.3060 points, with the currency pair merely consolidating during the rest of the trading session since there was no major event that came from Canada yesterday. However, the GDP output for Canada will be released today, and this is expected to create a significant insight with regards to the performance of the Canadian economy. Canada’s economy has been steadily weakening during the past few months, although recent data from the nation has not yet been reflecting these changes. However, the Bank of Canada has been hinting at this particular weakening in their economy, as well as the effect of lowering oil prices on the nation’s economic output and speculators are saying that this might ultimately lead to the BOC cutting back on its interest rates. The USD/CAD continues to be bullish, mainly because of the current state of the Canadian economy. The USD strengthened as Deutsche Bank’s issues were brought up during the US session which caused the USD to rally at 1.3180 points and is now currently at 1.3153. 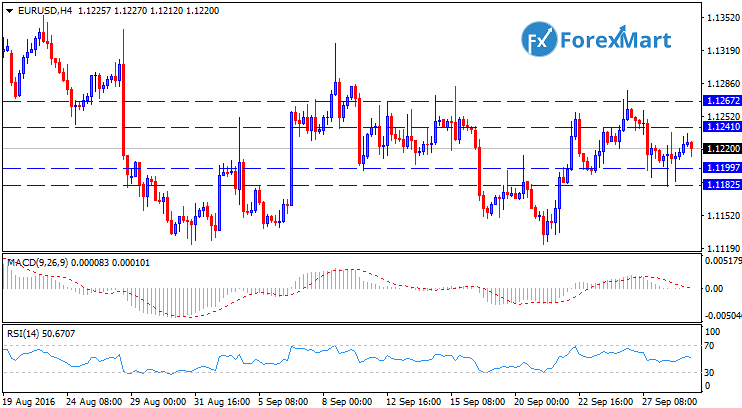 Support levels are at 1.3060 while resistances are within the range of 1.3200 and 1.3255 points. The EUR decreased its value after Germany’s Unemployment Change report turned out to be far weaker than what traders and investors had expected. Meanwhile, the USD strengthened slightly after hints that the Fed might possibly implement an interest rate hike before the year ends. 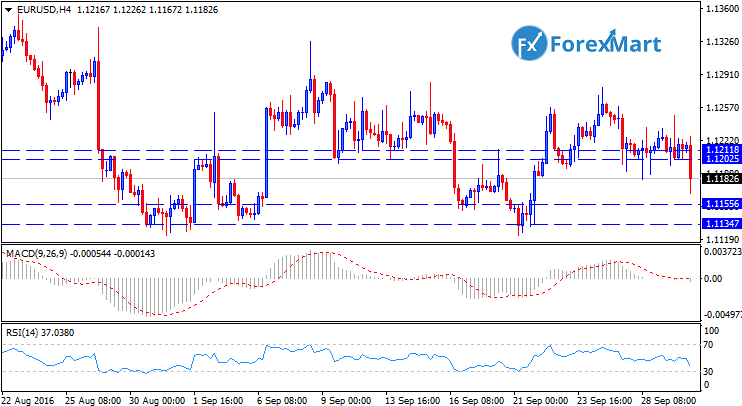 The EUR/USD pair meanwhile had its support levels at 1.1200 points and had a lackluster performance during Thursday’s trading session. The currency pair’s price levels remained inactive at the 1.1200 - 1.1230 during the London trading session. The 50, 100, and 200 moving averages remained on neutral territory, with resistance levels at 1.1250 and support levels currently at 1.1200. The MACD is currently at the center of the range. If the MACD returns to negative territory, then this will signal a strengthening of sellers, while a move into the positive territory is an indicator of a possible takeover of buyers in the financial market. The currency pair’s RSI levels remain at the neutral range. Should sellers be able to force down pricing levels below the 1.1200 range, then the currency value of the EUR/USD is expected to go up at 1.1150. However, it is also highly possible that this would even go as far as the 1.1250 trading range. The USD/JPY pair had a double-sided trading session on Friday after investors had split reactions to reports of an alleged settlement between the US Department of Justice and banking firm Deutsche Bank. The currency pair finished the last trading session at 101.318 points, going up by +0.29% or 0.288 points, with the USD finishing higher against the Japanese yen. The BoJ’s decision on its monetary policy is now settled, and investors are now shifting their focus on investor sentiment when it comes to the general direction of the market. Analysts are expecting this particular trend to continue up until Monday’s session especially due to lack of important economic data to be released this week and because of limited speculations prior to the release of the US Non-Farm Payrolls Report this coming Friday. Traders are now becoming particularly conscious with various economic events and news as they await the next announcement from Bank of Japan. 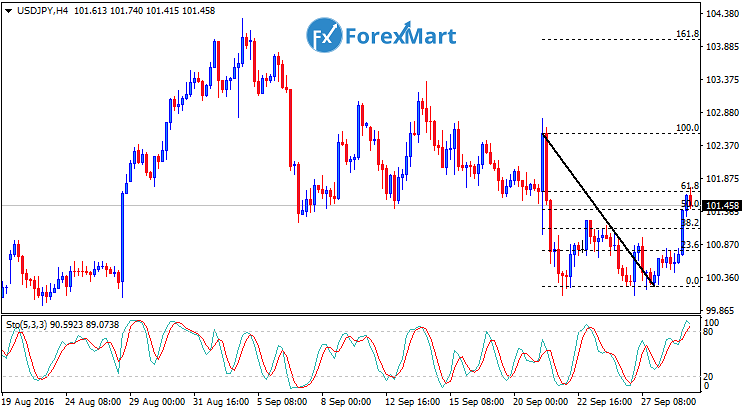 The direction of the USD/JPY was influenced by the US Presidential Debate last week, the Deutsche Bank issue, and the statement released by the OPEC. 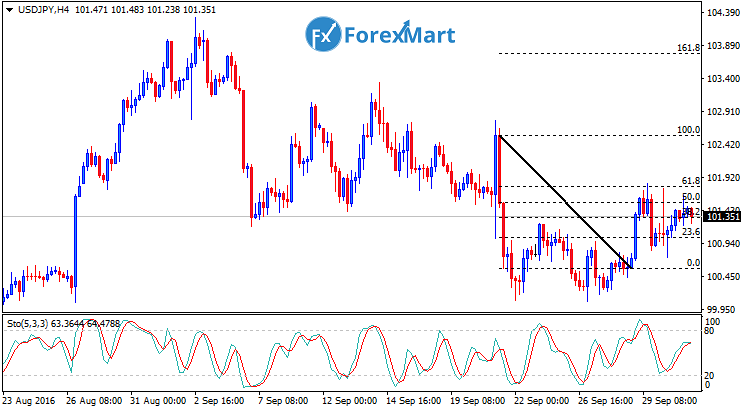 For this week, speculators are expecting that the USD/JPY would most likely be influenced by the release of the US stock indices and the US jobs report which is set for the end of the week. The USD/CAD pair continued to trade within the broad range but market players are expecting the currency pair to be on the bullish side. 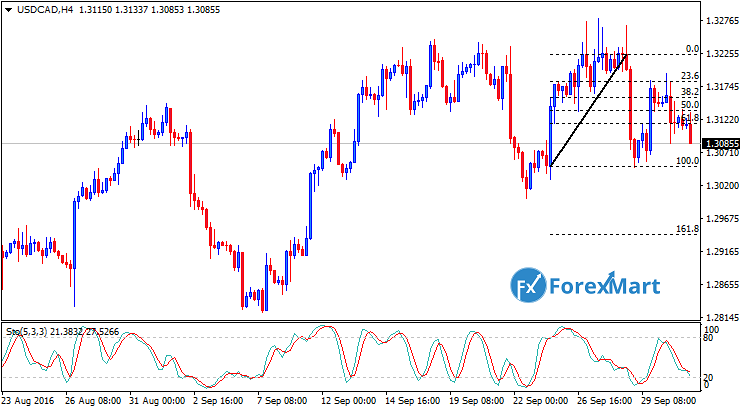 The USD/CAD has proved to be one of the most volatile currency pairs with its 2-way movement but still in the wider trading range between 1.3050 and 1.3280. The release of the retail sales data last Friday turned out to be bad for the market, causing the CAD to decrease earlier this week. However, the bullish stance of the pair was still not able to break through the 1.3280 trading range. The CAD then bounced back after the release of the OPEC statement, where oil producers have agreed to cut down oil production in order to increase oil prices. The currency pair then decreased in value. But Canada’s GDP data came out way above the expectations of investors, increasing the USD/CAD’s value but not enough to break through the bottom range, therefore settling within the neutral territory. For this week, investors are awaiting the release of the Canadian employment report as well as the NFP report which is both slated to come out this Friday. Market players are expecting increased volatility once the mentioned economic data are released, together with the strengthening of the US economy due to an impending rate hike and the weakening of the Canadian economy due to the OPEC report.